How Many Reps To Build Muscle? Depends On The Type Of Muscle You Want To Build! When it comes to building muscle mass there are quite a few different approaches and techniques out there. Quite a few of them work and quite a few don’t work. If you want to build muscle, you need to know how many reps it takes to build muscle and how to do those reps. You can luck out and build muscle without even knowing how you’re doing it, but it’s nice to know what works and what doesn’t so you can build muscle efficiently! Basically, determining the amount of reps to do depends on the type of muscle that you hope to build. For example, there are guys that have an amazing amount of muscle mass but they look really bad. A lot of the time they look soft and bloated. That’s not the type of muscle that you should be trying to build. But what about the really skinny guys? Even though they could still benefit greatly from adding even some of that “soft” muscle the huge guys have, here are a few things to consider. Knowing the type of muscle you need to build, whether it’s flat out size or if it’s harder, more angular muscles, determines how many reps you should do. Now let’s see why these rep ranges work the way they do. We’ll look at the two main types of muscle training — mass and density. How Many Reps for Mass? Building overall mass is probably the most traditional type of muscle building. When you are focusing on building muscle mass, that type of muscle growth is known as “Sarcoplasmic Hypertrophy.” What this means is that your muscles will fill up with fluid. To create the maximum amount of Sarcoplasmic Hypertrophy, you are going to need to focus on a high volume of reps. Stay in the higher rep and set ranges. A good muscle mass workout should target one muscle group per week so that you can really blast that muscle and still allow sufficient time for it to repair and grow. A common and effective approach to doing this is the 3 day split. Pick 2 or 3 exercises for each muscle group — two if you’re starting out, three if you’ve been lifting a while. So your total number of sets would be anywhere from 8-12. What I like to do is to focus on two main exercises like incline dumbbell press and flat dumbbell press (for chest) and do 4 sets of 12-15 reps for both exercises. After that, I might head over to the cables and do 2 sets of low cable chest flys. During this phase you should limit cardio. No more than two separate cardio routines of no more than 30 minutes done on non-workout days. Pros: The upside to this type of workout routine is that you can really pack on some decent size. Cons: The downside to this routine is that the type of muscle you are building isn’t good for a whole lot except for size. How Many Reps for Density? Muscle density and muscle mass are two completely different things. When you see guys pounding out 10-15 reps per set you know that they are not building dense muscles. In fact, you can usually tell the rep range someone prefers just by how their muscle looks. For a dense muscle, you need to focus on building the actual muscle fibers and not so much the fluid in side of the muscle. 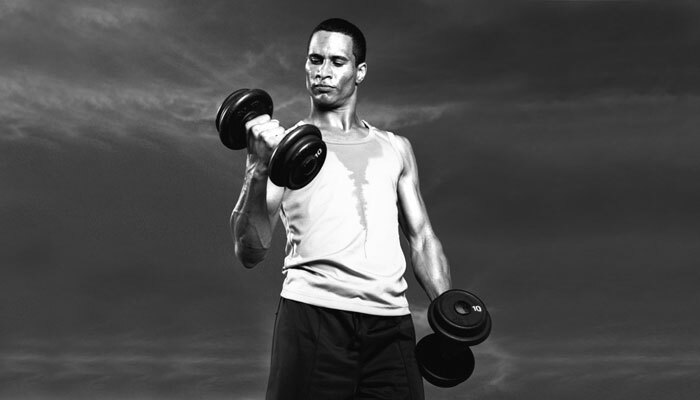 To build hard and dense muscles, focus on a low volume of reps. In order for your muscle fibers to grow, your workouts are not going to be damaging the muscle as you would when shooting for Sarcoplasmic Hypertrophy. Here’s the rep range for a good muscle density workout. Not only are the amount of reps to build muscle different, but the amount of time you work each muscle each week is different. Since you are not going to be damaging the muscle you can workout each muscle group twice per week. I go into greater detail in another article about doing workouts for definition but here is an overview. For these workouts, I like to do 3 different exercises per muscle group. So I do 3 sets of 5 reps for 3 different exercises per muscle group. Pros: By staying in this rep range you can build functional and dense muscles which still have decent size. Also, you will get stronger by doing these types of workouts versus the muscle mass workouts which focus more on size and less on strength. Cons: Since density and mass are completely different, muscle density workouts will not give you much in the way of size. What Type Of Muscle Do You Want To Build? Really I am just scratching the surface here. What I hope though, is that this quick overview will show you that there are two main types of muscle and that the amount of reps you do determines the type that you’ll build. There is a lot that determines how effective your workouts are. 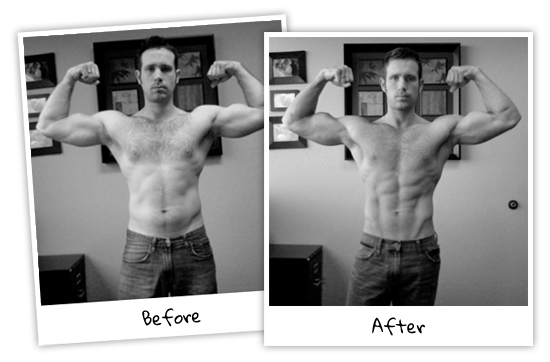 The best info I’ve found was from Rusty Moore’s Visual Impact Muscle Building. He goes into detail on not just how many reps to build muscle, but also rep tempo, type of rep, rest periods. Each phase you will focus on a different set and rep scheme to maximize the effectiveness of the routine. What is cool is that by mixing up how many reps you do, you can not only train for pure muscle mass or pure muscle density, you can also train for mostly mass, mostly density and everywhere in between. Great info on the difference between muscle mass and muscle density. Most of the time I train in the lower rep range. Not only do you increase density, but you get stronger as well. Every once in a while I’ll switch things up and do high rep training. Just doesn’t feel the same though! I agree, lower rep training is nice because you get to lift some pretty heavy weights. Downside is that it’s a little more wear on your body. All-in-all, if I had to pick a favorite it’d probably be the good ole’ 5×5. Hello Mr. Kevin. I just want to ask how to perform (tempo and intervals every set) of this 5×5 workout. Thank you in advance. I thought that for 5 reps you should do at least 4 to 6 reps. Is 3 reps enough at 5 reps? I do 5-8 reps on my compound shoulder exercises, yet there’s hardly any muscle density, even though it’s 36kg (75-80lbs). Am I doing something wrong or missing something? Dave … everything said here sounds great! Except for one man named Eugen Sandow. Eugen Sandow was born in Germany in the late 1800’s and was a strongman in back in the vaudeville days. The guy’s main training routine was 120 reps with 10 pound dumbbells! Yet, the guy could life a car. Sandow says that any man can become super strong using only 5 and 10 pound dumbbells when he does 120 reps per workout. He defied all logic of weigh training. Well, I just realized that everything I’ve done was wrong, I used to do many reps without knowing my muscle’s density. So, I ended up having big muscles with no strength. Thanks for the article! You bet Dan … I used to do the same! I was wondering about the actual weight you should be using in the lower rep range. I’m working on definition and still losing fat but I’ve always heard light weight high reps. With this low rep approach should I be using lighter or heavier weights? You would want to use a heavier weight. For definition, the stronger and harder the muscle is, the more defined it will be. One thing you need to remember though, you actually don’t want to fail on a lift. Make sure you stop 1 or 2 reps short of failure. It takes a little getting used to but it really makes a difference. Plus, you’ll get much stronger lifting like this. Thank you so much for the response. I’m going through your site like it’s the fitness Bible. I’ve read as many post as my eyeballs can go over (including some that don’t even apply to me). 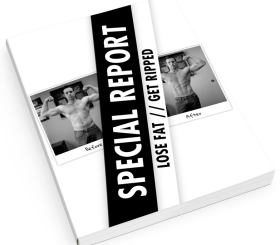 I’m looking to implement you 2 day split workout for some definition by summer (I’ve already implemented your Eat Stop Eat diet with one fast day a week for now). In 3 separate post you’ve shown 3 different ways of doing this. Some include legs and abs some don’t. Just wondering if I’m implementing HIIT and steady state cardio at the end of every workout for 40 minutes should I be overly concerned about legs and abs? If you are doing a lot of HIIT then you will, in my opinion, be fine not focusing on leg training. For abs, just a few times a week is plenty. I usually train abs twice a week, sometimes a light third. how much dense muscle can you build in a year of training in the 1-5rep range? doing exercises like squats, deads, presses, cleans…??? when in a traditional hypertrophy cycle idea is performing 6-12 reps on upper body exercises and 10-20reps for lower body muscles. will training in the 5×5 rep range build density? Yep, a bit of both. I really enjoy 5×5 training! what is the meaning of 5×5 set and rep? I updated the post … thanks for pointing that out! For mass you want to hit failure (or at least close to it) on your last 2 or 3 sets for each exercise. So whatever weight will do that in the rep range you’re lifting. For density you should stop 2 or 3 reps short of failure for each set. So pic a weight you can lift for 7 or 8 reps but only do 5. Thanks for clearing that up I appreciate it. I am 56 years old and have been training for 25 years. I still realize that you can teach an old dog new tricks. I have stuck to a lot of the old school philosophies. Thanks to guys like you I am learning new techniques and strategies. I enjoy your website very much. Keep up the good work.! Thanks Gene! We’re always learning … even techniques that work now might be improved upon after more research and testing has been done. The “fun” part is putting them to use. Would it be feasible to combine the mass/density rep schemes into the same workout.? Let’s say for chest you do 2 sets of 12-15 for mass and then do 2 sets of 5 for density. Would that be effective or are you better off just focusing on one or the other.? Thanks. For one muscle group, just focus on one or the other. It’s more feasible for different muscle groups though. If I don’t want to go up in weight for each set of 5 x 5, would it be ok to pick a weight that I can use for all 5 sets of 5, just barely making the last 2 reps of the last set of 5? I am 69 years old and I have been advised by my ortho surgeon that using extremely heavy weights (going up in weight for each set) is not good on shoulder, hip and knee joints. But I figured that if I do 5 reps but kept the same weight for 5 sets (heavy enought to feel heavy for the last set) that I would be getting the same benefit. Right now I am on a 3 sets of 15 reps with the last set of 15 reps being a drop set. Yep, same weight is just fine! See above on 5 sets of 5 reps. While I think the article is really good and gives A LOT of insight to different muscle types and training them, I have to disagree a bit on some parts here. Im not here to judge or anything, but I’d like to add my point of view into this too. So you said that low reps = denser muscles and high reps = big muscles. This is where I think you made a mistake. Im not saying you are wrong, because you are not, but I think you missed something very important there. What Im talking about is the intensity of the training and all that. For example, I could talk about myself or a few of people I know, but I’ll use myself now as an example to explain what Im talking about. So, I used to train with high reps and quite high weights too. I tought that is a good way of getting some serious strength and also size. Well I was right, but also wrong at the same time. I ended up getting some serious mass, which put some strain on my heart and cardio (surprise), but I didn’t get barely any strength. I didn’t know what was wrong, but now I’ve changed a lot in my training. Nowadays I use moderate weights, my max bench for example is like around 100-90 kg, so now Im using weights around 60-80 kg with moderate to high reps which means 8-15 reps, sometimes however I only use like 6-8, but that is quite rare for me. I have to admit that I am still getting some mass around me, but not really that much that it would be a bad thing, of course muscles grow when you use them, and besides I’ve gotten quite slim from when comparing to my fatty-bulky times, when I used to be big, but not having any strength at all. But the point is that I am using high reps with moderate weights nowadays and I am not getting barely any mass on me at all, and better than that is that my muscles are getting quite denser and denser everytime I train, and I don’t even train that often (although I am planning to turn up the heat on my training in the meantime, probably when I move out to a southern part of the world, as I don’t like how cold it is here most of the year where I live now :P). So the very point of this long message is, that while you are quite right on the subject here, you’re still missing some great points, like the intensity and pauses. You are able to build dense muscles with little mass gains with high reps, but it depends on how you are training yourself. Like I said before, I use moderate weights and high reps, not so many sets, but my training is quite intense and diverse with barely any pauses. That way, I can put some huge stress on my body, but it also has much time to recover. This way I find my training quite balanced, and while I am getting some mass growth, but not really that much, I am at the same time densifying them quite much. That is all. Wish I was atleast some help to anyone out there reading this. Hi, just reading this article and the recommended rep ranges. Would you say a good way to try and get the best of both worlds be to do something like 3 sets of 7 reps per exercise ?? or would you gain more by splitting certain exercises bewteen lifting to say 4 reps and then for a same body part lifting to 10 reps?? I would stick to 3×7 for all exercises instead of mixing it up in the same workout. So I want to get bigger but also don’t want the puffy look and my muscles filled with fluid. So should I do muscle mass workouts first, then when I reach the size I want to be switch to muscle density workouts? Yep, that’s how I would personally attack it. You can workout in the middle ground but both size and definition gains are a little slower that way. If I am wanting to gain some size (not a whole lot, but some), yet stay cut and lean at the same time, would switching off each week with muscle mass and muscle density give me the results? For instance: this week I do the 3×5’s, next week I do 3×8’s, the following week I go back to 3×5’s, etc. Thanks, I really like your website! That should actually work well. You might even want to do 3×10 one week and 3×3 another and just make sure that you up your calories a bit (not a whole lot) during the 3×10 week so that your body has that to grow. Awesome, thanks a lot Kevin! Great formula for the upper body. But what about legs? I have a very difficult time building a strong lower body. 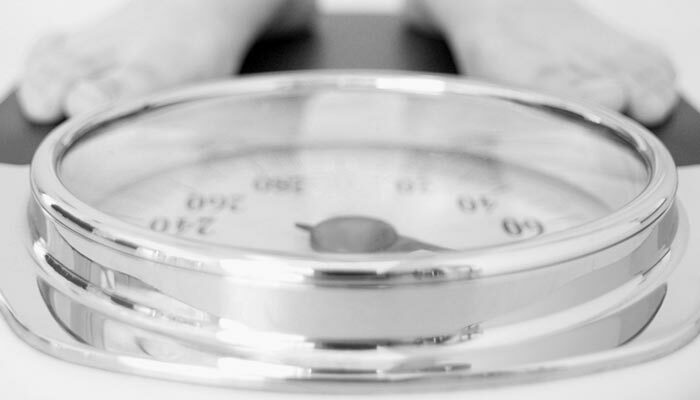 And how long should rest intervals be when training for density?? Manjusri, Whenit comes to legs I feel that front squats and dead lifts are the way to go. Rest intervals for strength training are fairly long at 2-3 minutes … you want to be rested for each set you do. Nice article. I was wondering what happens when you do circuits. I’m currently trying to pack on density rather than size. Do circuits therefore add fluid due to the high rep range!? Typically doing circuits to lose excess fat and harden the muscle and will normally do 4 circuits, 6 stations for a minute, 10 second break and then a minute break at the end of each circuit. Great article, to be honest I always thought it was the other way round in regards to mass and definition and the rep ranges!! Presumably a combination is best but as a guide would low rep workouts fall into body types A or B? b) Martial Arts Fighter/Athletic/Swimmer builds? You bet … I used to think the opposite as well and so many still do. Yep, that looks about right. Well the rep range is information is wrong. The higher amount of reps you do 12+ the more definition you gain with little strength gain. The lower rep ranges 1-6 build mass and strength were the 8-12 is the balance between good strength and definition gains. The more muscle fibers you use result in definition, high reps builds the slow-twitch fibers(small muscle fibers). Whereas the fast-twitch muscles(large muscle fibers) are worked in low rep ranges resulting in shear mass. Slow-twitch fatigue at a relatively low rate and Fast-twitch fatigue very fast. Yes, I thought that information was a little backwards myself. See my separate post dated today. Hey, thanks for the great info, I just wondered if its safe for low reps on legs without a belt? And what about abs? Should I put a weight behind my head when I crunch? I always used to do a shitloads of reps on abs, it seems my abs get rock hard by doing that, are the abdominal muscles different from all the other muscles in the body? And would you recommend low rep range for abs too? I’m a really skinny guy at 15 years old, 6 feet, and 120 pounds, and want to gain muscle and strength. No worries about losing fat only muscle and strength. I’ve been working out since September this year doing 8-10 reps for the most part, but have only gotten strength gains but I cannot see much muscle mass put on. I would like to get bigger and stronger and I would appreciate if you can help me approach this situation. Thanks. I have a related question. If after a session on legs, is it a good or bad idea to ride an exercise bike for 20-30 minutes after the exercises. I ask this in reference to the existence of MTor. I have read that as soon as you start any endurance exercise it stops the production of MTor in its enhancement of muscle growth. However, when you talk about fluid I am wondering if pumping more fluid to the legs after the weight work will aid the process in relation to size. Normally, I use the exercise bike as a general warm up. Thank you for your very explicit and informative article. As an old bloke who likes to think that he knows what he is talking about and it is so important to keep abreast of changes and re-thinking. You have, certainly, done that. To gain weight you need to consume a lot of calories. Eat a lite and continue working ou t.
For your muscle density building routine, do I slowly rep my weights or do I rep them explosively? So what is the difference between size and strength? Why wouldn’t stronger muscles just naturally have to get somewhat bigger de facto? And this saying my muscles could look a lot bigger but not actually be any stronger? its a very nice article. after reading this i want to know something more from you. i am 30 years old, skinny guy. i want to increase my muscle mass. u mentioned about the reps and sets, but u did not mention anything about weight. should i carry heavy weight or lighter weight? I am looking to tap into my body fat by depleting my glycogen levels in my muscles as per Rusty Moore’s Cardio manual but he only mentions cardio machines.. can you tell me how to use outdoor running to deplete my glycogen levels so I can tap into body fat? How do I guage from outdoor running how long I need to spend running to know that I have depleted glycogen etc? My routine is that I hit the weights at home (5 reps for 9 sets on each body part as you recommed) and then do a run outside straight afterwards for cardio and fat loss. I loved this article. Higher reps are definitely best for size “IF” they are done correctly. On YouTube you can see old footage of Sergio Oliva training with his typical 11-15 reps per set. With no concern for form – just blasting the moderate weights up quickly. That produces size. I have personally found doing less total sets than you recommend (like half as many) to work better for me. But, I wasn’t waiting a full week to hit that bodypart again (rather 5 days). I get strength (also) from higher reps. And, nearly EVERY workout! I train at home using standard weights. A person who does this has an advantage. Assuming the smallest plates he has are 2.5 lb. plates, he can order plates from York Barbell that weigh 1.25 lbs each (that is, they weigh 20 ounces each). 6 plates are enough for a barbell and a set of dumbells. Next, he can go to the hardware store and buy 42 washers with a 1-inch diameter hole and a 2.5-inch outside diameter (being careful not to select any “oddball” washers that are overly thick or thin). These washers weigh 2.5 ounces each; so, 8 washers weigh 20 ounces (or, 1.25 lbs.). He simply adds a washer or two after each workout, making the assumption that he will be able to lift the “slightly” heavier weight the following workout. When he gets up to 7 washers, the next progression is to replace the washers with a 1.25 lb. plate. This allows him to do the same workout (say, 3 x 12 for a particular movement), and have his muscles get used to handling just a tiny bit more weight — an unnoticeable amount — each time. Like the old saying, “By the yard it’s hard, but by the inch it’s a cinch.” It’s like pennies that add up to dollars. Over time, he will get stronger (I have), even though he’s training primarily for size. What is the best solution, in terms of rep and rest period with only compound exercises, only for increasing the density of muscles without gaining weight? Mr. McMillian didn’t respond to my post so I doubt he will yours. There is a book that I’ve heard some great things about. 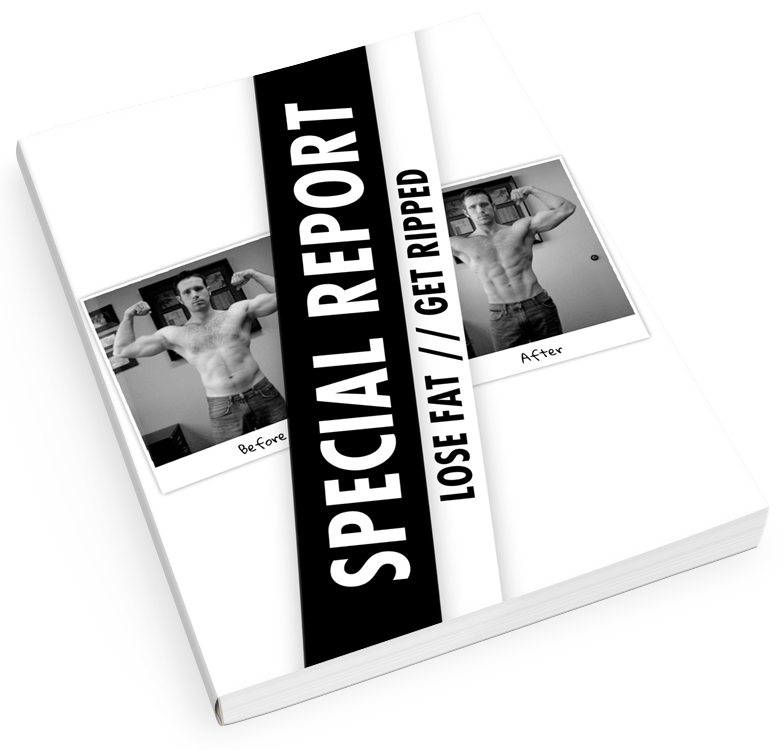 It teaches how to get super strong without gaining an ounce. It’s called, “Power to The People,” and was written by Pavel Tsatsouline. It has some great reviews on Amazon. It might be worth checking out. The information in this article goes against everything I’ve been reading so far, which is – lower reps with higher weights = size and strength. Higher reps with lower weights = definition and endurance. So which is it? Are the two concepts perhaps mistakenly reversed in this article? I’m glad i ran into your article. I’ve been trying to gain muscle mass and I’ve been doing 5 sets of 10 reps per exercise. I use weight that allows me to barely perform that 10th rep.. Should I lower my sets to 4 and add reps to gain mass? If so, I’ll probably have to lower my weight in order to perform 12 to 15 reps. will lowering my weight affect building mass? what do u think…first we will exercises for gain size or first we will workout for strength and defination..??? I like to perform the Chest/Shoulders/Triceps-Back/Biceps routine. Can I also use this for muscle density if I go with 3×5? I have a question…I´m beggining with pull ups, right now I´m doing negative pull ups and I expect sometime to do my first pull up….my question is what type of muscle should I intendt to build?….size or dense? once a week training o twice a week? I dont have the luxury of a gym, I have a home weight set and am limited to flat bench and incline, while I do the first 9 sets on flat bench I do the last 6 sets on incline. Am I doing too much? Should I change the routine? This has just confused me a little. lol. So, I’m female. For upper body I lift 6-7 reps sometimes & I like to do high rep (14+), changing tempo lifting at other times. Am I doing it all wrong? I do feel stronger. For those of us who want to built muscle density and loose fat, do you recommend cardio? If so, what frequency/duration do you recommend. I’m 5’00” 120lbs.